Creating a website has never been easier. There are various content management systems that will let you host your blog in less than 10 minutes. One of them is the super powerful and resourceful WordPress. There are multiple theme and templates that are also available for you to apply to your WordPress website to change the look and feel of the interface. In this article, you will come across various themes and templates that suit the needs or is more specific to elementary schools and other related fields. 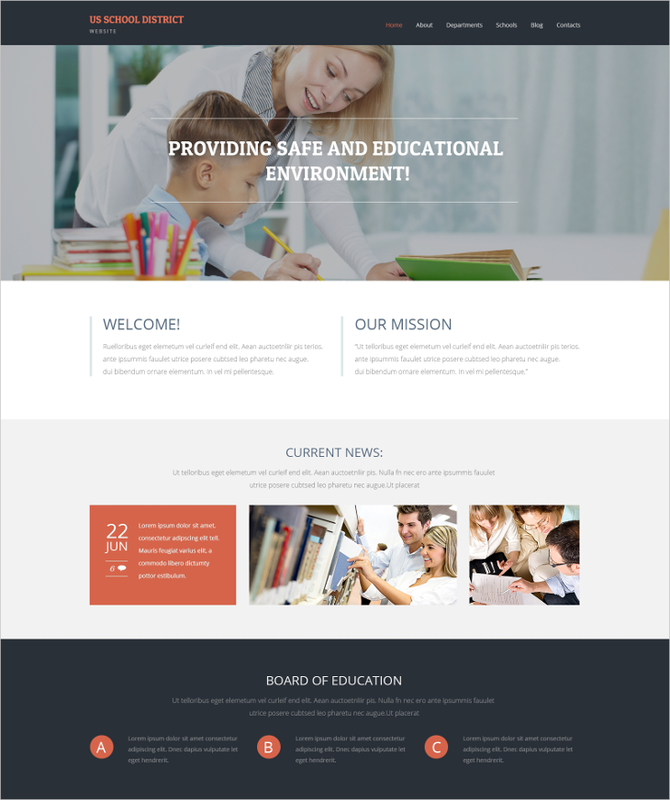 You can also check out school website themes & templates in case you are looking for more options in the education institute website themes. Forget about coding the design for every screen size because this theme will take care of that for you. The website has a cool landing page with a “read more” button to get the viewers inquisitive. The widgets for the theme are really appropriate with the content that an elementary school website is supposed to have. 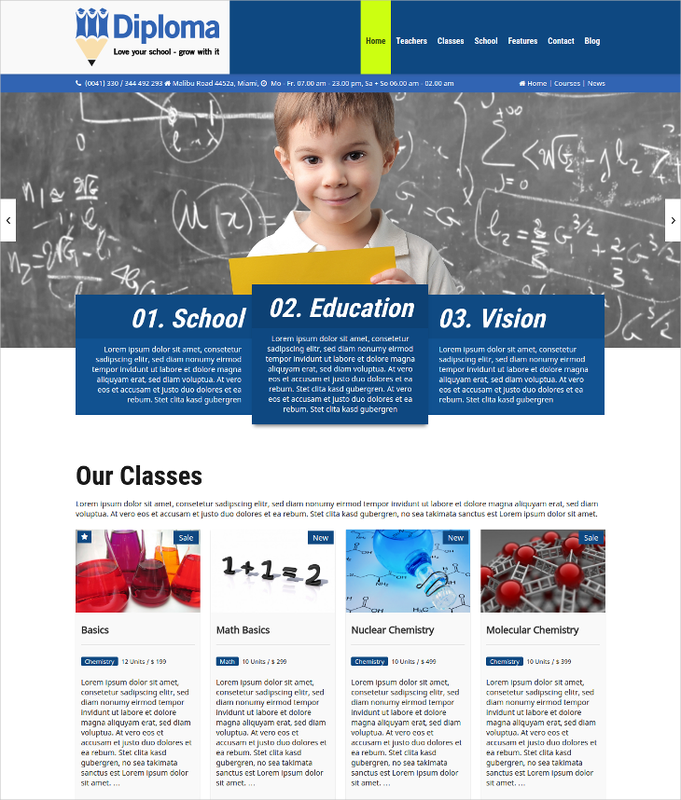 Here is a great education WordPress theme called Smarty. The theme includes custom page templates wherein you can change the layout with simple drag and drop. The design is responsive and you set the layout for different device sizes. 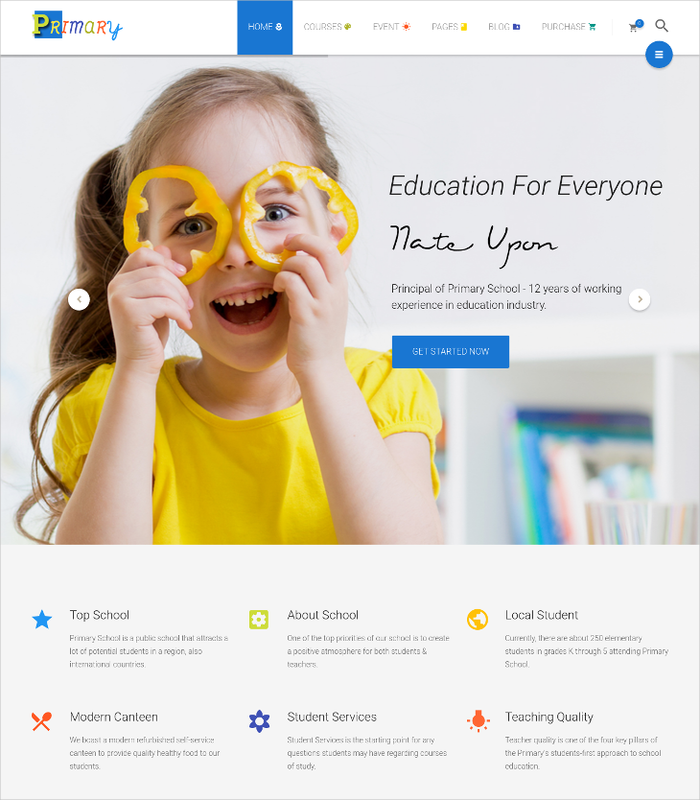 If you want to get started within minutes without having to worry about the images and the layout, then just apply this amazing theme for primary schools. The design is completely customizable and in case you have the knowledge of HTML and CSS then you can tweak the source code itself for finer details. 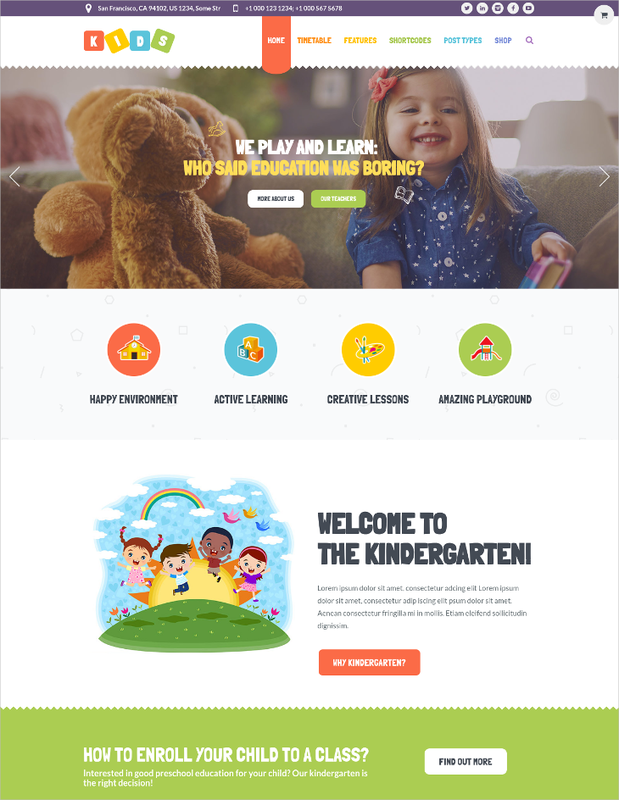 ThemeForest has this amazing WordPress theme called Baby Kids that will make your elementary school website really professional, and apt to the theme with all the colors and custom made designs and icons. 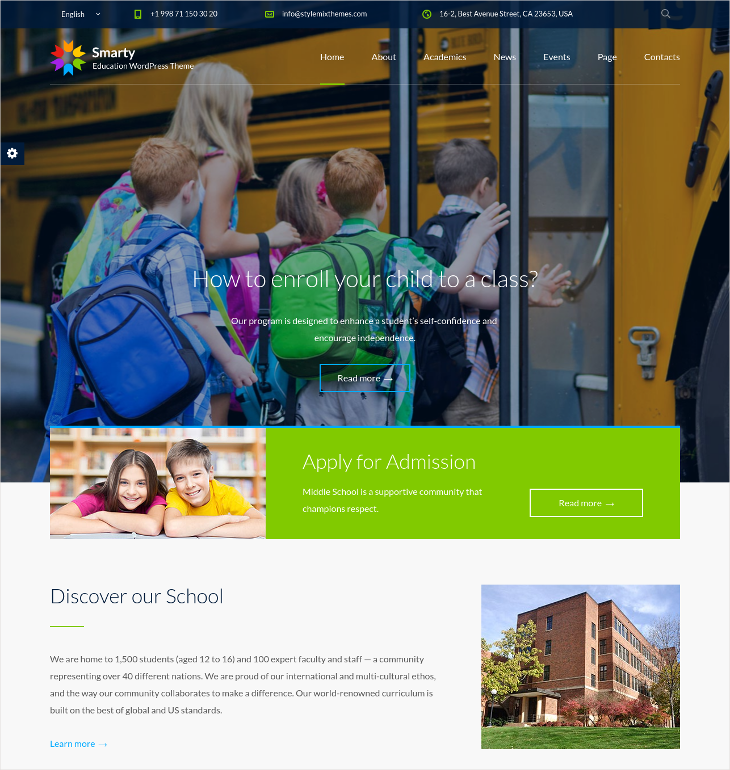 This is a responsive primary school theme that comes in a maximum width of 1400 pixels. The layout is very simple in its two columns, one for main content and the other for the sidebar. You can check out the live demo of the theme before applying it to your website. 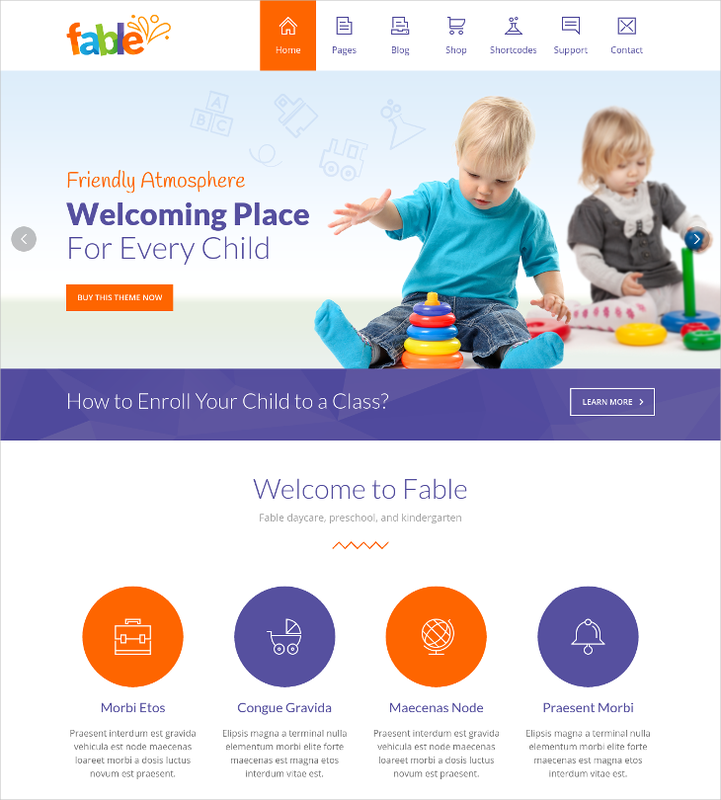 Fable is a kindergarten theme for a WordPress website. 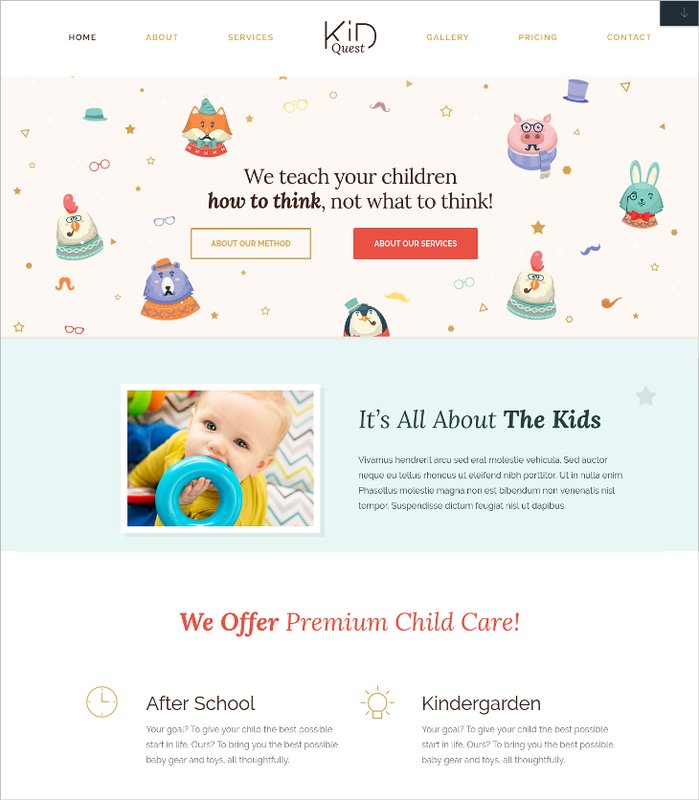 This theme is perfect for anyone building a website for kindergarten, school, child care center or nursery. 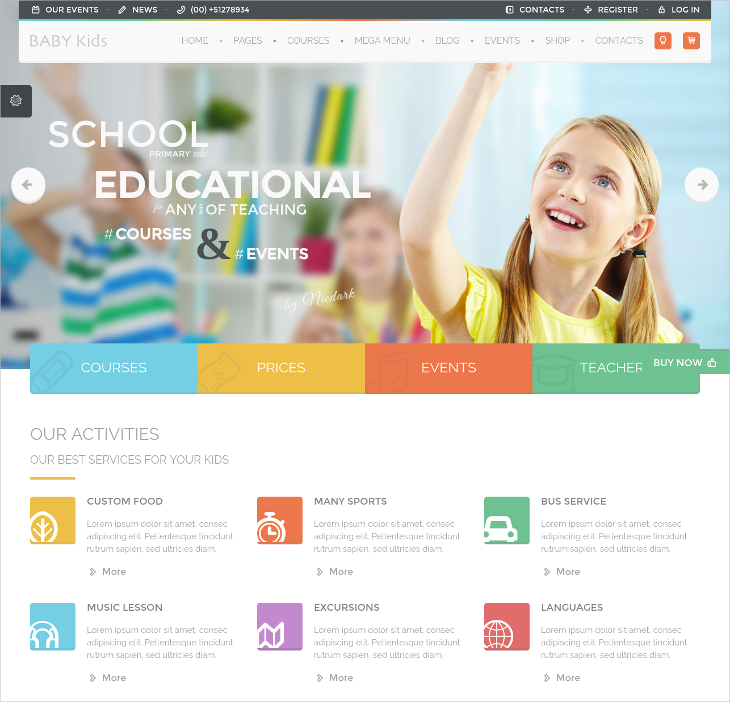 You can also use it for education-related projects for younger minds as the design elements like the selection of colors and choice of fonts is specific to them. 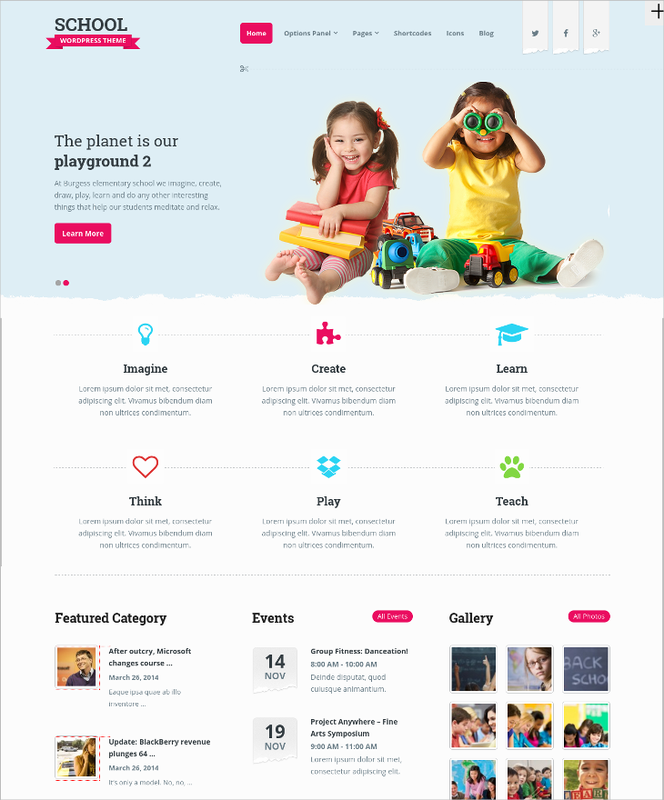 This theme is called Preschool and is available on Behance to download. This design looks really adorable if kept to the theme of children and education sector. 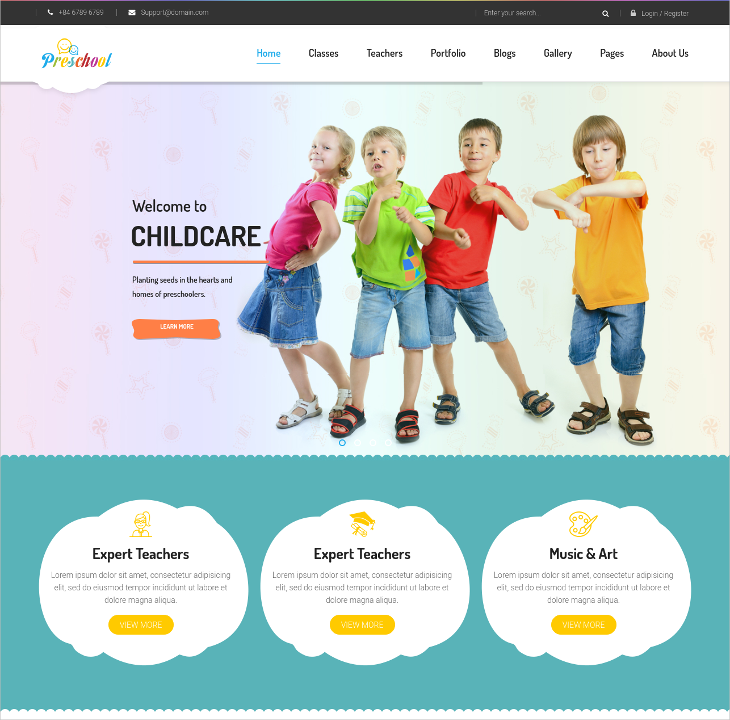 Add some vibrant colors and cool artworks and digital designs to your kindergarten website using this theme called Kids. This responsive theme will let you set the layout in a simple drag and drop actions. Any WordPress site you see will definitely have a theme sitting on top of the basic design. The designers create these themes keeping in mind a specific target audience. If you have an idea, you will find a theme related to it for WordPress, be it any free WordPress theme or responsive WordPress themes & templates. The ones mentioned above will be suitable for anyone working on an education website or a similar project.